Q. How do I find criminal justice articles and information? The library subscribes to ProQuest Criminal Justice Periodicals Index (CJPI) available from the list of databases page and featured on the Criminal Justice Subject Research Guide. 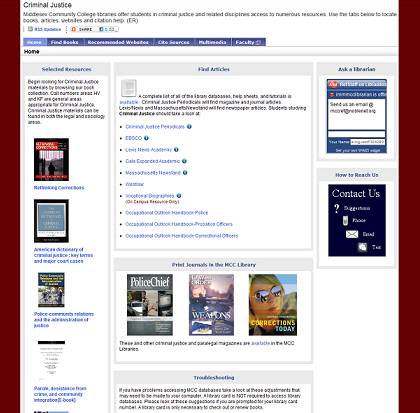 This is a comprehensive database of U.S. and international criminal justice journals. The database provides research support for students interested in careers in criminal justice, law enforcement, corrections administration, drug enforcement, rehabilitation, family law, and industrial security. The database includes abstract and indexing for 240 titles, with more than 80 available in full-text.